We can help make selecting an appropriate tribute at this difficult time as straightforward as possible. 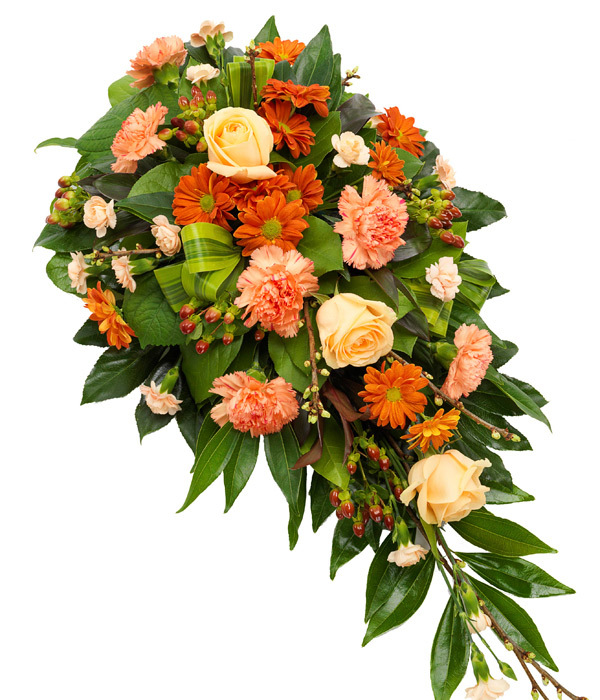 All of our funeral flowers are professionally and elegantly crafted by skilled florists and hand delivered to the funeral directors. Please note that the price excludes the relay fee (£5.95). For orders required within 48 hours please contact our dedicated customer support line on 0800 484 0270. Delivery to UK mainland only. The eFlorist website (dignity.euroflorist.com) places cookies on your computer or mobile device. This is standard practice for all websites. Cookies are small data files, which allow us to collect information about your browsing and buying behaviour. The information they store is invaluable as it enables us to tailor our site and therefore ensure we deliver a high quality web experience. By using and browsing the eFlorist website, you are giving your consent to cookies being used in accordance with our policy. If you do not consent, you must disable cookies or refrain from using the website.